I was so pleased to find fresh Pacific Halibut at my local Costco this week! The fish was glistening and moist looking and sprung back immediately when I gave it a good poke with my finger, a good sign of freshness. I couldn’t wait to get home and give it a taste! With a quality fish this fresh I usually keep the preparation simple. I like to enhance, not overpower, the flavor of the fish itself. I cut these fillets into portions, patted them dry on each side, then seasoned them with nothing but a little salt & fresh ground black pepper with a dusting of Old Bay Seasoning. I warmed 2 tablespoons of grapeseed oil in a saute pan over medium high heat until the oil was shimmering then gently placed the fish into the pan…the rest is tasty, melt in your mouth history and you can read the details in the recipe below. Mmm Mmm Good! Note: If you want to jazz this sauce up there are many variations; add a little white wine, some chopped shallots, or a splash of heavy cream and reduce these along with the lemon juice for a little extra flavor. Old Bay Seasoning, to taste. Pre-heat the oven to 350 and using a paper towel pat the fish to dry the surface very well. Season both sides with salt & pepper and a little Old Bay then heat 2 tablespoons of oil in a non-stick pan over medium-high heat until shimmering hot. Swirl the pan to evenly coat the cooking surface then carefully place the fish, skin side up / flesh side down, in the pan. Cook 3 minutes (without moving) then gently turn over and cook 3 minutes more. Carefully remove the fish to an oven-proof dish and place it in the oven to finish cooking through. While the pan is still hot pour out any excess oil and with the pan still off the heat add the lemon juice. Swirl the sizzling juice for about 30 seconds then return the pan to the heat to reduce the moisture. Simmer, swirling the pan from time to time until the liquid begins to thicken, about 3 minutes. Remove the pan from heat and add the butter cubes a few at a time swirling the pan as they melt. Still off the heat, continue swirling in the butter cubes until all are incorporated into a rich sauce. The fish should be done about the same time as the sauce. Check to make sure the fillets have cooked through, leaving it in the oven a little longer if necessary. (Never overcook fish!) Carefully remove the fish from the oven and place each fillet on a plate. Spoon a little the sauce over each fillet and serve. I was asked to settle a debate this week and while I’m uncertain whether it was my food knowledge, my part Irish heritage, or simply my well known penchant for eating food that led them to me, I was more than happy to throw in my two cents. The question was “Is corned beef really Irish?” In fact, I told them, it is Irish but the tradition of eating corned beef and cabbage on St Patty’s day is uniquely American. Historically corned beef (named so because the salt used in the process resembled corn kernels) or salt cured beef was an export of Ireland but rarely ever was it eaten by the locals. In those days Beef was generally too expensive for the common people and a dish of boiled “bacon” and cabbage was much more customary. What they called “bacon” was pretty much any part of the pig, other than the ham, that contained a joint…typically what we know as the shoulder or the loin. Later, when Irish immigrants came to America, beef was actually far more available than pork so they “corned” the beef and cooked it with cabbage in an effort to replicate their comfort food from back home. Loosely, this is assumed to be the origin of the wholly American tradition of corned beef & cabbage on St. Patrick’s Day. 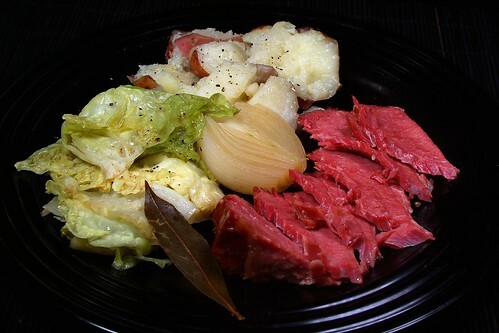 Interestingly, to this day, corned beef and cabbage in Ireland is generally reserved for the tourists! For a great read on the subject check out Europeancuisines.com . Through the years I tried every method known to man for preparing corned beef including boiling, stove-top braising, baking and most recently sous vide. For depth of flavor and melt-in-your-mouth tenderness, this slow oven braise remains my go-to recipe for corned beef. Make enough for leftovers because the sandwiches are awesome and the chopped meat makes for an incredible corned beef hash! Note: Reserve vegetables for later. These can be added and cooked with the roast for the final hour of cooking or boiled in the pot juices while the roast rests. Pre-heat the oven to 300 degrees. Remove the corned beef from its packaging and rinse in cold water while rubbing with your hands to remove any scum left over from the brine. Place the roast, fatty side up, in a heavy-bottomed Dutch oven (or a pot with a tight fitting lid) and pour in enough beer to come about 1/3 of the way up the sides, sliding the roast around a little to get some liquid underneath. Add the remaining ingredients, distributing them evenly around the beef (if your roast is larger add more / if it is smaller add less of the spice). Note: If your Corned Beef comes with a spice packet add that too…flavor is flavor! On your stovetop over medium heat, bring the beer to a gentle boil then cover the pot tightly with aluminum foil placing the Dutch oven lid on top of that for a nice firm seal. Place the whole thing in the oven and roast, without peeking for 3 – ½ to 4 hours again depending on the size. The beef should be very tender after 4 hours…if not put it back in the oven and check it every 30 minutes until it is very tender. Remove the corned beef and wrap it in the foil to rest. Meanwhile, place quartered cabbage (cut side down), red bliss potatoes, and white onion halves in the cooking liquid, return to a boil, cover and cook for 15 minutes while the Corned Beef is resting. After 15 to 20 minutes of rest, slice the Corned Beef, across the grain and serve with vegetables and your favorite Dijon Mustard. **Note: Corned beef is generally sold as Whole Brisket, Half Brisket – First Cut (or Flat), or Half Brisket – Point Cut. The first cut (or Flat) is my favorite. This cut comes from the wide flat half of the whole brisket with the Point Cut coming from the thicker, fattier end of the Brisket. The First Cut is generally leaner and more suitable for the dinner plate. The Point Cut is “generally” fattier and more suitable for sandwiches. Hence, most of the time when you see a sale on corned beef it will be the Point Cut. Do yourself a favor and stick with the First Cut. I call this recipe “Shepherds Pie, American Style” because I have read or heard much debate through the years about the authentic ingredients for shepherds, or cottage pie. While it is true that many might say “this is not Shepherds Pie if it contains no lamb!” I beg to differ. Oh yes, I am well aware that because it is made with beef as opposed to lamb that it should rightfully be called “Cottage Pie”. But that’s not what they called it when I learned to love it! I apologize for bringing up my childhood twice in as many posts but is that not truly when many of our adult likes and dislikes are formed? When I was in elementary school one of my favorite, absolute favorite dishes on the cafeteria (or cafetorium) menu was named “Shepherd’s Pie” and this recipe is my rendition of that dish. This is how I remember it tasting and once again we’re talking comfort food, so this is how I prepare it. Honestly, I won’t be insulted if you call it cottage pie; call it anything you like…what really matters to me is that it tastes good. After all if we were really going to get down to brass tacks then do you think that stuff they served at the “PTA Spaghetti Dinners” would pass as Spaghetti with a true Italian? Ha! I think not. But that doesn’t mean I didn’t gobble it up with enthusiasm each and every time I ate it. I hope you do the same with this recipe. In a large sauté pan over medium heat warm 2 tablespoons of olive oil until shimmering. Stir in carrots, celery, and onion along with ½ Tbsp each of thyme and tarragon. Cook stirring occasionally until the onions become translucent, about 10 minutes. Add the ground beef to the pan and break it up with a fork while stirring to mix. Add the remainder of the thyme and tarragon along with about ¼ tablespoon of pepper and the steak sauce. Continue cooking and stirring occasionally until the beef has browned. When the beef has browned and cooked through, add the broth and simmer while you prepare the potatoes. Place potatoes in a large pot with enough water to cover them by ½ inch. Add about 1/8 cup of kosher salt and bring to a boil over high heat. Lower heat to medium and cook until potatoes are fork-tender, about 20 minutes. When the beef & broth mixture has simmered at least 20 minutes, strain about 1 cup of the hot stock into a bowl. Add 2 -3 tablespoons of cold red wine and set aside to cool while you mash the potatoes. When the potatoes are very tender carefully drain them in a colander or strainer allowing them to sit a few minutes to steam off excess moisture. Place hot potatoes in a large bowl and using a potato masher, dough cutter, or a large fork mash in about 1 cup of the buttermilk. Continue mashing until the liquid has been absorbed, then drizzle in the second cup of buttermilk while still mashing the potatoes. If the potatoes are still too dry drizzle in a little extra buttermilk, while mashing, until the mashed potatoes reach your desired consistency. Whisk 2 Tbsp of flour into the reserved stock and wine mixture then stir this into the simmering beef mixture along with the frozen peas. Stir gently until everything is incorporated, heated through, and slightly thickened then spoon or pour the mixture into a 9” X 13” casserole. Using a spoon and your fingers if necessary spread the potatoes over the top of the beef mixture. Before baking, smooth the top of the potatoes, then use the back of a fork to create parallel 1/8 inch deep “grooves” along the length of the entire dish to give the topping some texture. Place in the oven and bake 30 minutes. Carefully remove the dish from the oven and rest 10 minutes before serving. Last weekend I had friends coming over for dinner and I wanted fresh fish. Having not had the opportunity to catch my own recently I did the next best thing and headed for the fish market. Pickings were a little slim at Restaurant Depot but I noticed some large Wahoo fillets. I asked the gentleman behind the counter if I could examine one and he gladly handed me a latex glove. Freshness truly is half the battle when it comes to fish. The other half is cooking it right! The key with firm and lean fish is to never, ever overcook it. I always say to take the fish off the grill just before it’s cooked through and let it finish on the plate. Believe it or not, fish is so delicate that the heat from cooking will carry over and finish the fish on the plate while still leaving the flesh moist and tender. To be sure about the doneness I don’t mind using a fork or a knife to check the progress but it’s not always necessary. 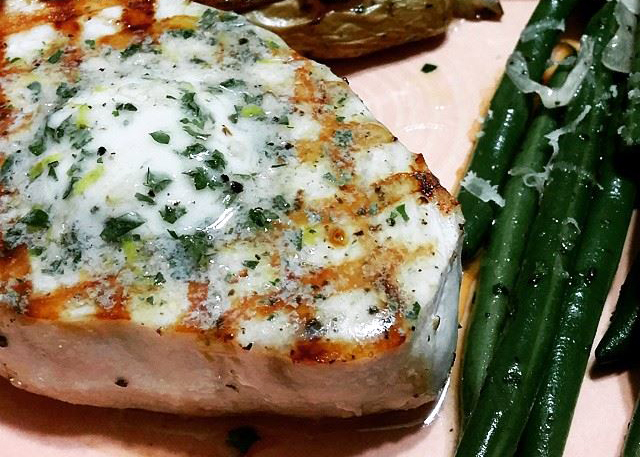 With fish, especially fish steaks, you can watch the edges turn from translucent to opaque as the fish cooks. When grilling simply keep an eye on the side of the fish and turn it just as the doneness reaches the halfway point. 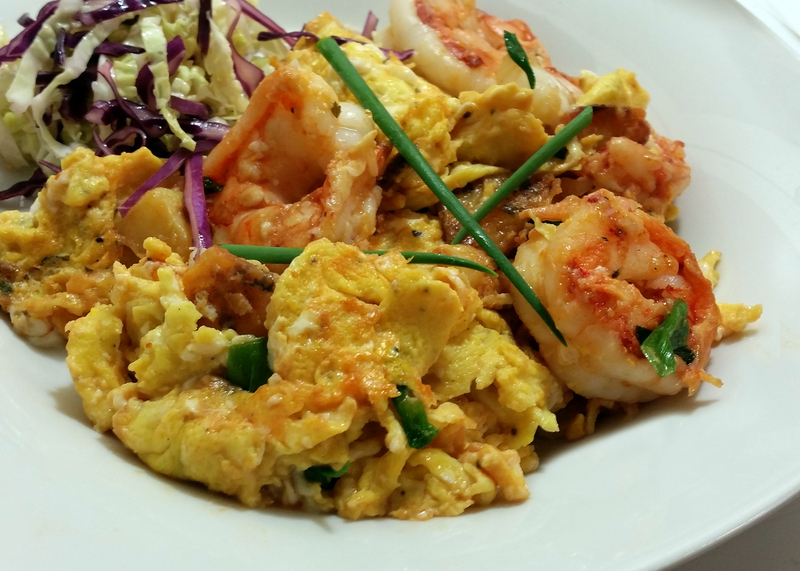 Cook the other side for the same amount of time and viola, you are ready for the plate! My friend Cyndi asked me for a recipe for this delicious fish and I am going to post not one but two because I couldn’t pick a favorite! 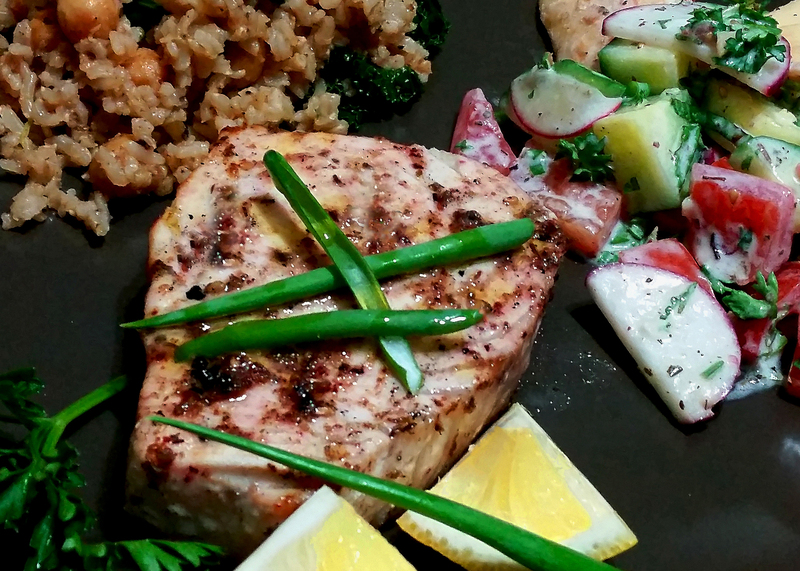 Both recipes are exceedingly simple, grilled, and both are perfect for firm lean fish such as Wahoo, Swordfish, Mahi Mahi, or Halibut. The first recipe calls for Za’atar seasoning. This savory spice mix is available at most Middle Eastern, kosher, and halal markets as well as some finer grocery stores. It is one of my favorite spice blends! Preheat a charcoal, gas grill, or grill pan. Sprinkle fish generously on both sides with Za’atar seasonings, drizzle with lemon juice, and olive oil. When the grill is hot soak a paper towel with oil and using tongs, carefully rub to coat the grill with oil. Place the fish on the grill and cook two minutes, turn the fish clockwise 90 degrees and cook two more minutes or until the fish turns white “almost” half way through. Turn the fish over and repeat removing the fish to a plate just before the fish cooks through to the center. (Use a fork to test if necessary and remove the fish from the grill just as the center turns opaque being careful not to overcook). Drizzle each serving with a little more olive oil and serve. Blend butter well with the herbs and spices and wrap it in plastic wrap forming the butter roughly back into a stick. Place the butter in the freezer for 30 minutes or until firm. Preheat a charcoal, gas grill, or grill pan. Drizzle both sides of the fish with olive oil and sprinkle with salt & pepper. When the grill is hot soak a paper towel with oil and using tongs, carefully rub to coat the grill with oil. Place the fish on the grill and cook two minutes, turn the fish clockwise 90 degrees and cook two more minutes or until the fish turns white “almost” half way through. Turn the fish over and repeat removing the fish to a plate just before the fish cooks through to the center. (Use a fork to test if necessary and remove the fish from the grill just as the center turns opaque being careful not to overcook). Immediately top each fish portion with a pat (about a tablespoon) of the compound butter so that the heat of the fish melts the butter creating a sauce. Are you ready for some football? I’m excited about the post season and a little let down at the same time. Once again…the Dolphins made me cry! But, enough of the sniveling, how about some incredible chicken wings for your Super Bowl party? I cannot make claim to this recipe as it is nearly word for word straight out of the Silver Palate Cookbook. Originally called Chicken Marbella, this wonderful recipe has been shared and talked about by many throughout the years. I however have made minimal changes to the recipe and cooking technique in order to make it “wing friendly”. 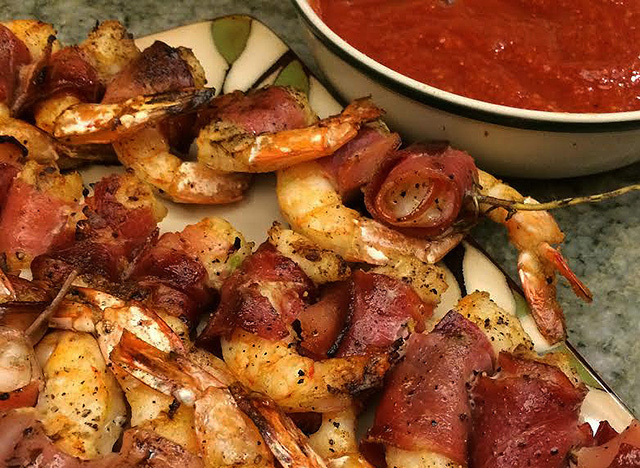 I made this batch after asking my daughter what she would like me to cook for her birthday to which she immediately answered “Oh my gosh how about those wings?” I knew exactly which recipe she was talking about! She likes them with a creamy Tzatziki sauce and celery sticks but I just gobble them down straight off the platter. Either way I can pretty much guarantee these wings will be the hit of the party and a new favorite in your recipe file! Cover the bowl and marinate the wings overnight. Preheat the oven to 375. Spread wings evenly on one or two large sheet pans. Sprinkle the wine evenly over and around the wings then sprinkle evenly with the brown sugar. Bake 25 minutes. If using two pans, switch the pan locations in the oven moving the pan on the bottom oven rack to the top rack and vice-versa. Then bake 25 minutes more. 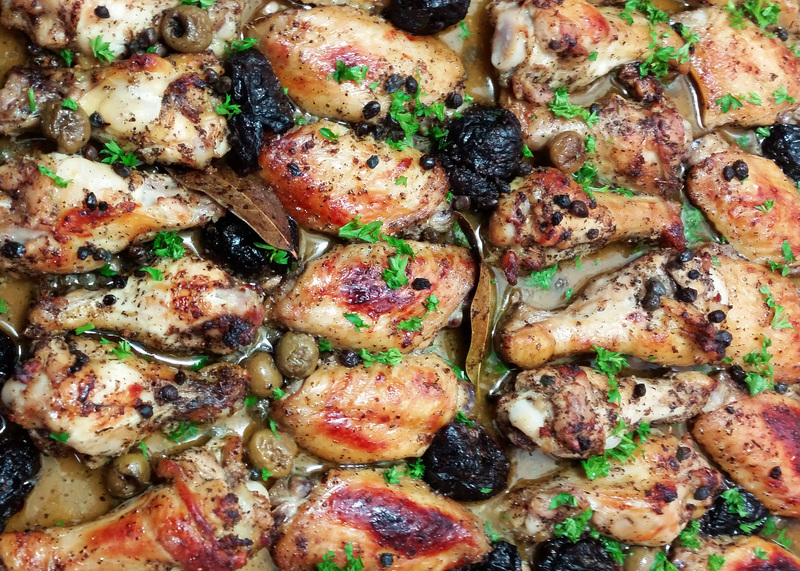 With a slotted spoon transfer the wings, prunes, olives and capers to a serving platter or crock pot. Moisten with a few spoons full of pan juices and sprinkle generously with chopped parsley. Serve any extra pan juices in a sauce boat on the side.